If you live, work or own a business in Westshore and you look around your home or place of business and realize that it’s time to say goodbye to the junk and debris cluttering up your surroundings. Then you have come to the realization that it’s time to hire a junk removal service. It’s time to turn your cluttered filled space in to a neat, organized, spacey oasis. Living, working or owning a business in Westshore means you’re in luck. 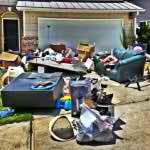 Westshore has access to the single greatest junk removal company on the map. Yes, I am talking about the one and only Stand Up Guys Junk Removal Crew. 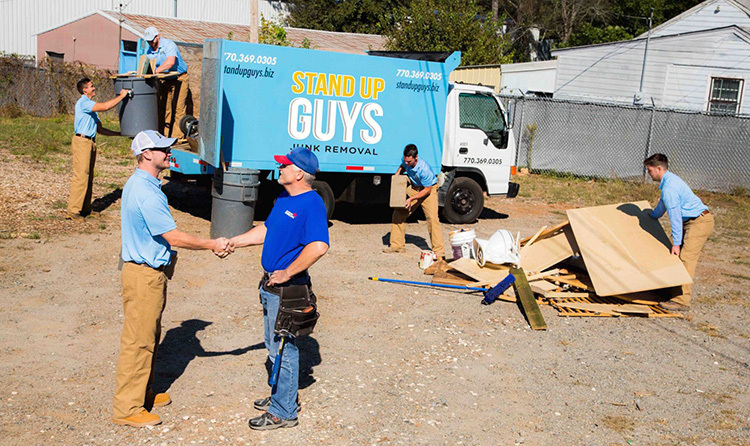 The Stand Up Guys offer junk removal, debris removal, clean outs, demo work and all types of other services to the people and businesses of Westshore. 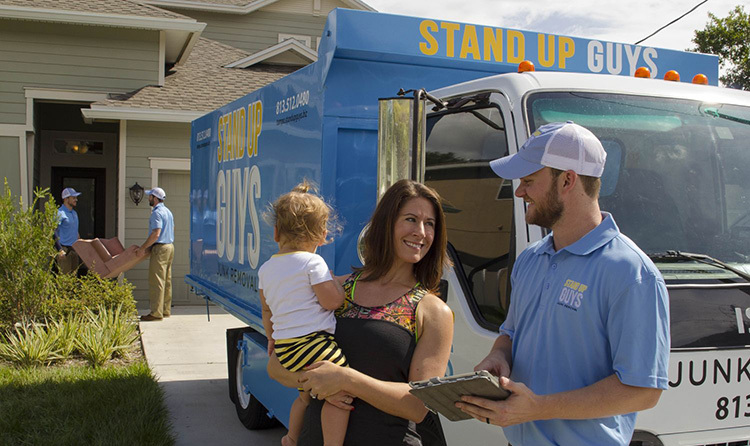 When hiring The Stand Up Guys to take care of your junk issues in Westshore, you get a lot more than just a junk removal service. You get a service that is willing to bend over backwards to insure that your are 100% satisfied. You also get a service that gives back to your community. The Stand Up Guys donate and or recycle up to 60% of the items that we remove from our customers. The Stand Up Guys will remove any and everything in Westshore as well. 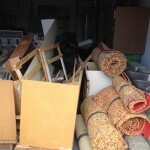 From household junk and office furniture to construction debris and everything in between. There isn’t anything out there that The Stand Up Guys won’t haul away. 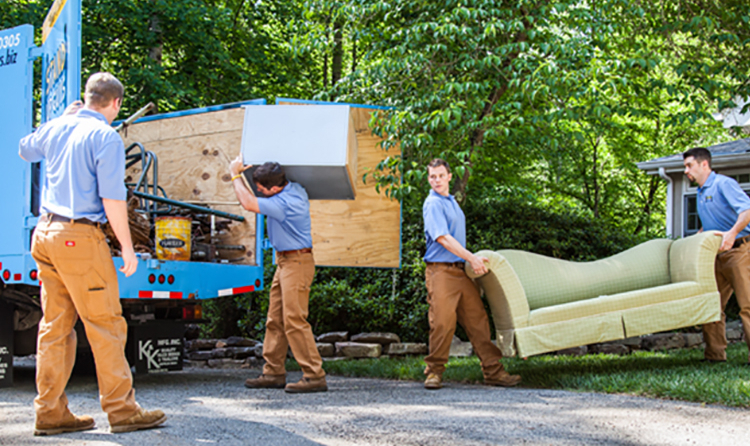 Schedule a time today and we’ll send two uniformed professionals out to offer you a free, up-front estimate in person. Westshore is mainly known as a business district in Tampa. It’s easy to say that with 11,000,000 square feet of office space, 4,000 different businesses and over 100,000 employees. Westshore also has a lot of residents as well. Westshore is a desirable place to live, work and play. Late yesterday, as the guys were finishing up for the day, Ray and Eduardo were fueling up the Stand Up Guys Junk Truck in Tampa. Ray typically does this so that he doesn’t have to bother doing it in the morning. While at the pump, a nearby patron of the fuel station noticed the large, beautiful baby blue truck. He walked over to Ray to ask him a few questions. The man walked up, shook Rays hand and introduced himself as ‘Big Ed.’ Now Big Ed’s name wasn’t ironic. He was a very large man. He was easily 6’5 285 lbs. Big Ed started asking Ray about what exactly it is The Stand Up Guys do. He was asking these questions because he thought he might have use for a service like this. 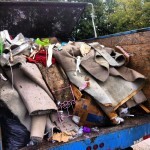 Ray explained to him that we pretty much remove anything from your home and clean out all types of junk and clutter. Big Ed sat there for a second and pondered his own situation. “You guys wouldn’t have time right now to take a look at my garage, would you?” asked Big Ed. “Actually, we’re all done for the day.. So, yea! We could come by and take a look at your junk situation” replied Ray. After chatting for a few more minutes, Ray and Eduardo hopped into the truck and followed Big Ed in his massive Ford F350. Big Ed told them his house was in Westshore, so the drive wouldn’t take but a few minutes. Just a couple minutes later The Stand Up Guys Junk Truck and Big Ed pulled into the Westshore home. Ray and Eddy hopped out and met Big Ed at the front of the garage. He opened the garage door and showed them what he needed removed. Ray and Eddy looked it over and analyzed the entire pile. After gathering as much info as he could, Ray offered Big Ed the best price for removing and hauling away all the junk. Big Ed loved the price. “Let’s do this, guys!” bellowed Big Ed. He was ready to knock this out right then and there. Ray and Eddy looked at one another and decided they would help Big Ed out and do it then and there, even though they were done for the day. Ray backed the truck up to the garage and they got straight to work. Eddy stayed in the back of the truck and stacked junk properly, while Ray handed him piece by piece. There was already junk in the back of the truck from the job prior, so stacking properly was a must to make sure all of Big Ed’s junk was going to fit. Eddy is the best stacker this side of the Mississippi, so that wasn’t going to be an issue. They knew they’d fit it all. The two Stand Up Guys huffed and puffed, lugged and stacked junk for a good 45 minuets. Then they looked down and realized they got it all! They were able to squeeze every last bit of junk into the truck. Big Ed wasn’t just satisfied with this service that he learned existed an hour ago, he was also highly impressed. When he saw them get started he was sure they weren’t going to fit it all in the truck. Big Ed was thankfully wrong, and happy to have all his junk removed. Another happy customer in the books.